New Steel Rear Main Fuel Tank Kit for 66-76 Classic Ford Broncos. Includes OE Style Rear Fuel Tank, Fuel Tank Sending Unit, Fuel Filler Hose, Fuel Tank Vent Hose and Gas Tank Mounting Strap & J-Bolt Kit. This fuel tank is a direct replica of a Factory Original Fuel Tank. 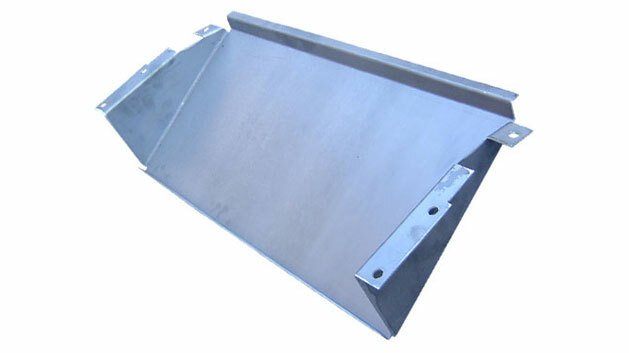 Exclusively for TBP, these fuel tanks are galvanized to help in preventing corrosion. 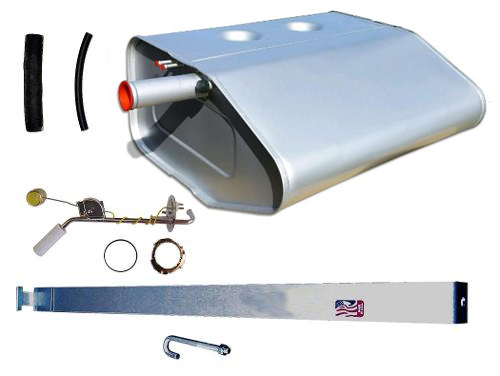 At TBP, we decided to develop this OE Style Steel Main Fuel Tank because the previous aftermarket polyurethane early Bronco Gas Tanks were notorious for leaking around the fuel tank sending unit. This was caused by the use of 6 screws that held the fuel tank s/u into the gas tank. Those screws would protrude too far into the fuel tank during installation and break through the plastic causing the fuel tank to leak. Our new OE Quality Fuel Tanks are different in that they utilize a factory style gas tank sending unit and lock ring which creates a secure seal for the fuel tank and prevents leakage. Note: Silver paint is just to cover the seams of the tanks where they are tacked. Silver paint may not cover the full tank. The rest of the tank can be bare as it is galvanized for rust prevention. Nice tank, its close to the original. I received my gas tank and fuel pump quickly and both fit perfectly and function flawlessly. Thanks for getting my '68 back out on the road!